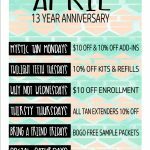 We have 4 levels of tanning solutions to meet your needs. This is our entry level bed. 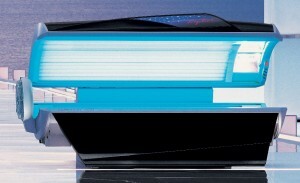 It features 32 120 watt lamps and 3 high pressure facials tanners that can be turned off and on throughout the session. This is a great bed to build your base tan in! This is a step up from the level 1. 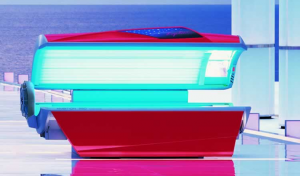 It features 20 160 watt lamps on top and 20 120 watt lamps on the bottom along with 3 high pressure facials tanners that can be turned off and on throughout the session. This bed is a great to take your tan to the next level! This is our high pressure bed. 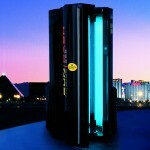 It features 27 high pressure body units and 3 high pressure facial tanners. This bed is the highest quality bed we offer. It gives dark, beautiful color quick and the combination of UVA and UVB gives you longer lasting color than any other bed, a very even tan and minimal drying of the skin.